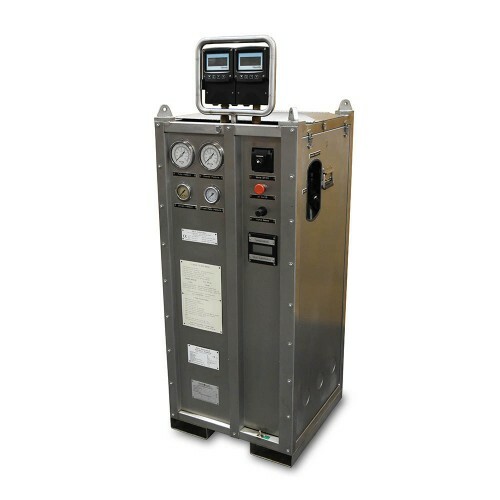 Mud Watcher - OFI Testing Equipment, Inc.
Drilling fluid measurement is essential for safe and efficient rig operation. Manually collecting and testing mud samples is slow and time consuming for rig personnel. 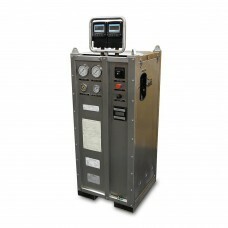 The Mud Watcher automatically measures the temperature, density, and viscosity of drilling fluid on the rig and send the data directly to the rig data acquisition system, mud logging unit, or dedicated data acquisition system. It is designed to be installed, operated autonomously, and maintained by the existing rig crew, with no specialized skills required. The Mud Watcher provides a steady stream of data, alerting mud engineers to possible problems much more quickly than conventional testing procedures. This reduces risk to personnel while providing accurate and timely measurements to enhance overall decision making, leading to higher efficieny, well quality, and productivity. Continuous monitoring of drilling fluid density and viscosity. Density is displayed in customer selected units. Viscosity may be displayed as centipoise, centistokes, or funnel viscosity. Data is exported as an intrinsically safe analog signal to the rig data acquisition system, mud logging unit, or a dedicated data acquisition system. No requirement for dedicated / specialist service engineers. Operated and maintained by existing rig crews.